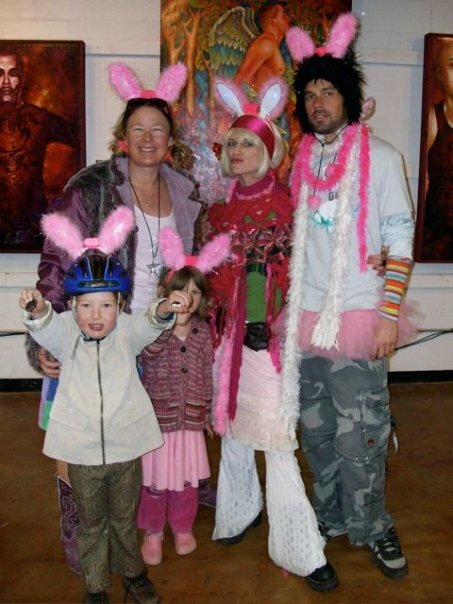 For last year’s April ArtRide, we had a “Bunny Hop” from gallery to gallery. It was a simple outfit to execute: all people needed were a pair of Bunny Ears and I’d ordered a couple dozen of LED blinking ones to give out to people for a small donation to cover costs. 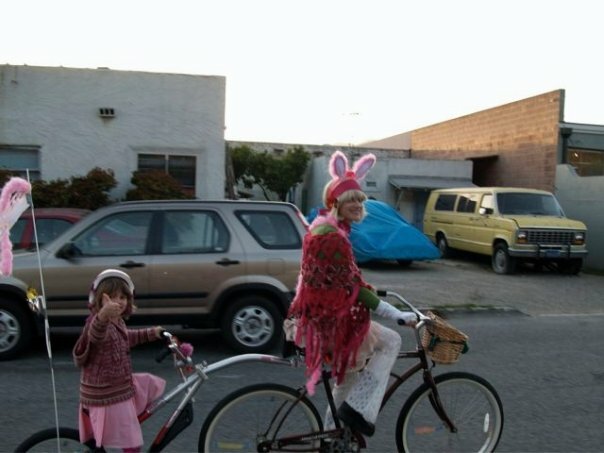 This was a our third ArtRide and I think we had about 20 people on it riding along Ventura Avenue and Main Street in our Bu nny Ears. As you can see, we even figured out ways to attach them to bike helmets! ← Steampunk Bicyclists Swarm Main Street! You’re not doing the 30 poems in 30 days thing? Well, with art rides and wine blogs and earth happenings and life, you probably don’t have time, you busy gal.